There are traditional stories — fictional and nonfictional — about bank robberies. A criminal walks into a bank carrying a weapon and demands money from the drawer. 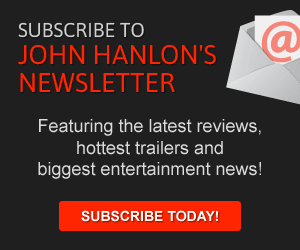 From news accounts to documentaries, we’ve all seen stories like that. Sometimes, the culprit gets caught and sometimes, they escape with the loot. 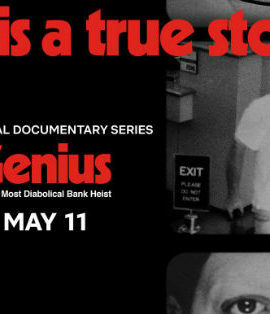 The new Netflix documentary Evil Genius: The True Story of America’s Most Diabolical Bank Heist will not be easily forgotten. The documentary series, which unfolds in four distinct episodes, tells the story of a 2003 Pennsylvania bank robbery that went wrong and the consequences of that and other criminal acts. The infamous story focuses on Brian Wells, who walked into a bank and robbed it. He said there was an active bomb around his neck. When he left the bank, he was surrounded by police and he insisted that he was a hostage himself and the bomb around his neck could blow up at any second. This robbery starts the stage for this twisty series. Over the course of the season, an eclectic mix of characters is introduced. Each new individual presents a new suspect. The series, which notably was executive produced by Mark and Jay Duplass, starts out with the heist and builds its cast of characters from there. Each time a new suspect is released, the filmmakers show off a list of the prime suspects leading the viewer to wonder who is telling the truth. The suspects themselves are presented as colorful and complex figures. Many of the individuals here are capable of terrible misdeeds. Because some of them seem so outlandish, the producers oftentimes rely on some of their acquaintances to show how duplicitous they can be. For instance, several people attest to the character of Bill, one of the key figures in this story. Bill seemed normal, many of them say. However, viewers slowly realize how much he was hiding. Even as it explores some horrendous people, the show does oftentimes bring the focus back to the victim of the bank heist. There are certainly questions raised about his motivations but the filmmakers do also focus on how he was treated during the day of the heist and during the investigation. Members of his family are featured here detailing how difficult the trauma was for them. Additionally, there are some puzzle pieces here that are included but then forgotten about. For instance, one of Well’s co-workers is viewed as a suspect early on. Although the filmmakers note what happened to him, there’s little follow-up about his own situation and he’s oftentimes ignored when other suspects talk about the case and his potential role in it. Even though the show sometimes loses focus, it’s still an eye-opening look at this mysterious case and the criminals who were likely involved in it. The show’s format plays out like a detective show, allowing the audience the opportunity to track the suspects and the investigation as it unfolds. Like in many detective shows, it’s the program’s final few minutes that really leave audiences with a better understanding of the case. No one is a truly reliable witness here though and that’s part of what makes Evil Genius so compelling.